Here is my last LO for 2008 and it features Shad Gaspar of the tagteam Cryme Tyme. Shad was a huge man but he was as kind as he was big! We met him twice, the first time we did not have a camera or anything with us, we were just standing looking stupid in the hotel-lobby (and we are really great at that!). We did not know that the wrestlers were staying at our hotel so we got quite a surprice when Shad came walking there. He saw us standing there in our wrestling T-shirts and stopped, stretched out his hand and shook ours and chatted a bit. Its really something special when the wrestlers come to us by free will (who in their right mind would want to do that ?). We also met him later during the day and then we were ready with the camera and the Cryme Tyme-sign. 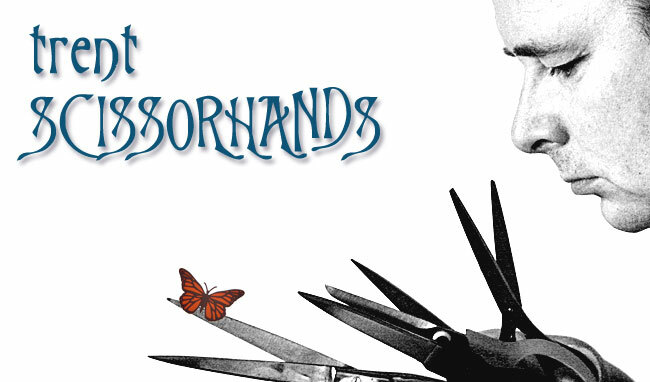 The LO is made on a paper from My Minds Eye and I have sponged out some Black acrylic paint on the sides. The Cryme Tyme-text I have drawn myself (I found the fonts in our computer and copied them) and then cut them out in a Basic Grey paper. Then I cut out the black and white shades in CS. When my wife saw the text she said that she could have done that on her new machine, a Bosskut Gazelle. If I only had known! 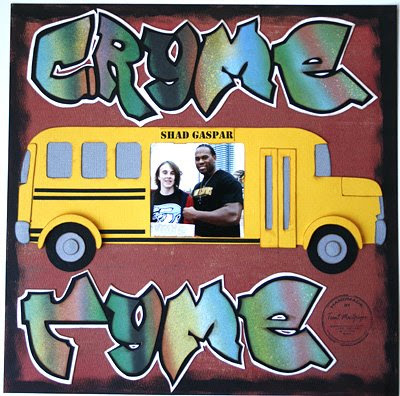 Her Gazelle got to work a bit for me after that and it cut out the bus (I chose to have a schoolbus since Cryme Tyme has one in their Internetshow Word up) which I customized in the Funtime software and then I also added a few bits and pieces afterwards. 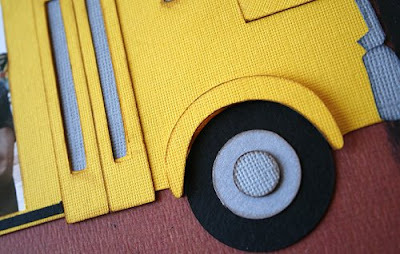 The text "Shad Gaspar" I printed out on a piece of yellow CS and attached to the bus which is made out of 4 kinds of CS. Some 3D-cushions, glue-dots and a lot of chalk later I was nearly ready. I just had to use my own private stamp which I have ordered from Norway so it left my brand in the corner of the LO. I dont know if it really fits there but I still giggled when I placed it there. Sometimes I am a bit childish. The Cryme Tyme Shad Gaspar layout, I am quite happy with it. A close up of the wheel, just for the fun of it! 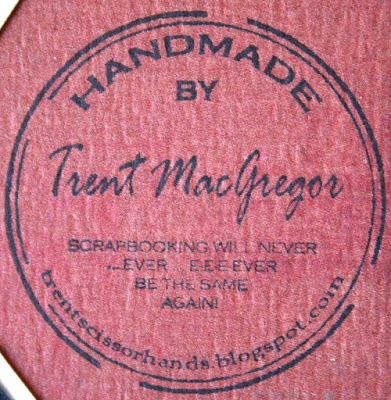 And a close up of my stamp, now thats really fun!